See T. Nguyen, A. D. Sutton, M. Brynda, J. C. Fettinger, G. J. 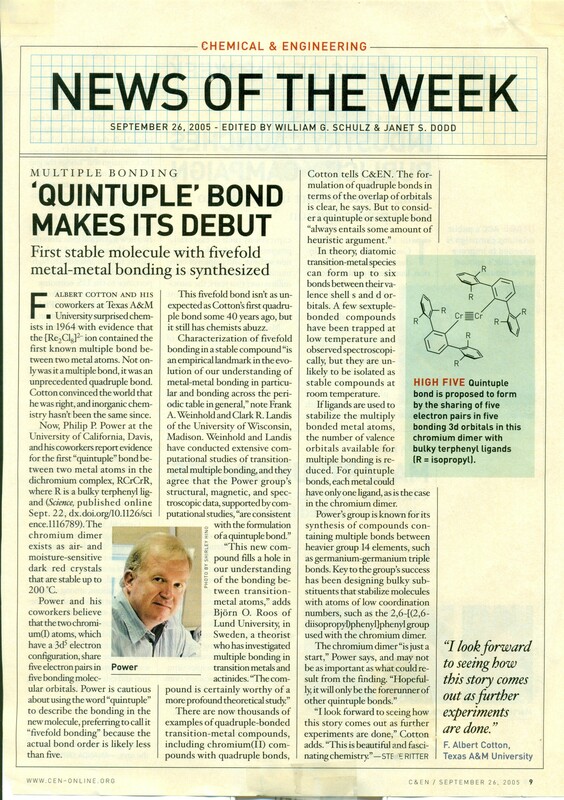 Long, and P. P. Power, Science 310, 845 (2005); "News of the Week: Quintuple Bond Makes Its Debut", Chem. & Eng. News, Sept. 26, 2005.